Just in time for Halloween, EVE Online is introducing an event called The Crimson Harvest. It charters an attack from an organisation known as the Blood Raiders, a group of heretics concerned with kidnap and showering in the blood of their kidnapped victims. Nice. Wondering what else is in store for the massive space MMO? Here’s a detailed roadmap of EVE Online’s future. The Crimson Harvest gives you the option of assisting the Blood Raiders’ cursed crusade or trying to fight against their macabre rituals. Runningfrom October 20 through to November 2, The Crimson Harvest brings a number of Blood Raider-themed offers, along with some in-game activities that players can take part in. Blood Raider Gauntlet sites in game with Blood Raider themed rewards. 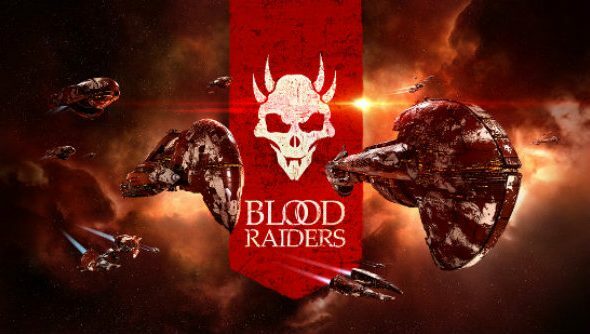 Blood Raider SKIN and apparel sale in the New Eden Store along with new discounted bundles, some which include complimentary Blood Raider Skins. Complementary Blood Raider Skins with selected Aurum packages. Blood Raider Gauntlets will appear throughout New Eden during The Crimson Harvest, inviting you to test your piloting skills against the blood-splattered fleet of the Blood Raiders. These Gauntlets will appear on your overview as long as you have “Celestial Beacons” enabled. If you successfully complete a gauntlet you will be rewarded with a Blood Raider Abaddon Skin, in addition to a chance of receiving a special Blood Raider Cerebral Accelerator (will increase all attributes by 10 points for 24 hours), or an Advanced Blood Raider Cerebral Accelerator (will increase all attributes by 12 points for 24 hours). The accelerators are plugged in through the same method as a standard implant, and will last 24 hours before they are depleted, but their benefits will only work during The Crimson Harvest.